It was a reminder that since he was the boss we probably should listen to him. And for the most part we did. Ninety-nine times out of one hundred he was right. And on the rare occasion when he was incorrect, he was still right. I remember one time when we had an argument about the location of a certain place. He swore up and down it was to the south, when in actuality it was to the west. After he realized his error, he still maintained it was to the south, and there would be no more to say about it. Years later we laughed about that day and how stubborn he was and once again with a wry smile on his face he reminded me, “You know once I thought I was wrong, but I was mistaken…”. As an instructor it’s not fun being wrong… however I admit it. I’m sometimes wrong mistaken and that’s ok (just don’t tell my wife). As it’s said, “If you’re not making mistakes, you’re not trying hard enough”. I spend time with my assistant instructors to promote their growth as teachers, and explain that it’s ok to be wrong every now and again. It’s part of being human. It’s how you handle it that’s important. 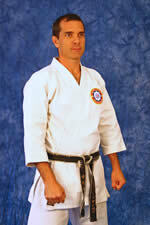 My friend and brother in the martial arts, Sensei Jason Nichols one night made a small error teaching kata. A confused student questioned his error to which he smiled and said, “Thank you, you’re right. My mistake. I’m allowed one mistake… just one”. This was a gracious way to admit his err but provide correction at the same time. He did not dismiss his student nor punish them for their insubordination. As both a lifelong student and teacher or karate, I believe it’s important to admit mistakes when you make them and give the correction immediately. Failure to do so and then contemptuously denying it undermines your student’s trust in you. You’re students aren’t stupid, and you’ll come unstuck. My advice is to admit your errors immediately. Every time you make an error, it’s an opportunity for you to congratulate your student for being so observant. Make it about them and you’ll create longer and stronger relationships built on trust.